The Lakshmi Mittal-owned global steel giant bagged the lenders' approval following a long legal battle with other players in the race for acquiring Essar Steel. ArcelorMittal has been chosen as the preferred bidder for Essar Steel by the Committee of Creditors for the embattled steel producer. The Lakshmi Mittal-owned global steel giant bagged the lenders' approval following a long legal battle with other players in the race for acquiring Essar Steel, especially Russian VTB Bank-promoted Numetal. The company said it will now enter into further final negotiations with the creditors. Essar Steel was one of the 12 companies referred by the Reserve Bank of India put up for insolvency proceedings. 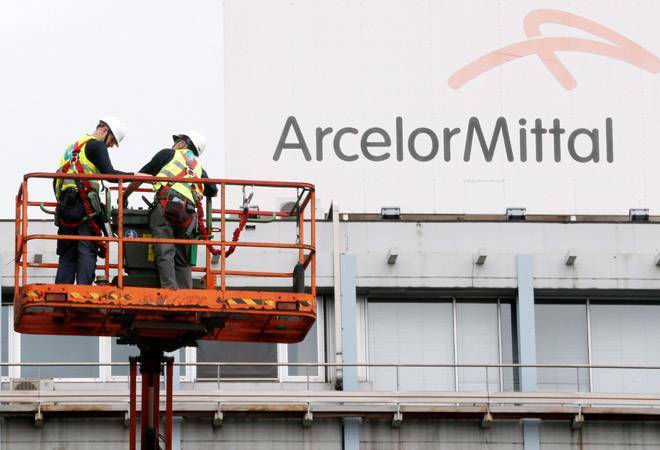 "ArcelorMittal confirms it has been informed by the Committee of Creditors (CoC) for Essar Steel India Limited (ESIL) that it has been evaluated to be the H1 Resolution Applicant (the preferred bidder) in the corporate insolvency resolution process for ESIL," ArcelorMittal said in a statement on Friday. ArcelorMittal has said its board of directors believes that "ESIL represents a unique and compelling opportunity for the company to establish a significant footprint", with substantial expansion potential, in the high-growth Indian steel market. Earlier this week, ArcelorMittal agreed to pay Rs 7,469 crore to the creditors of Uttam Galva and KKS Petron to be eligible to acquire Essar Steel in line with the Supreme Court order. Around 80 per cent of the Rs 7,649 crore payment is to be used to settle the dues of Uttam Galva and the rest 20 per cent for KSS Petron, the world's largest steel producer said. "ArcelorMittal announces that, in-line with the Indian Supreme Court ruling dated 4 October 2018, it has approved a payment of 7,469 crore rupees (approximately $1 billion) to the financial creditors of Uttam Galva and KSS Petron to clear overdue debts in order that the offer it submitted for Essar Steel India Limited (ESIL) on 2 April 2018 is eligible and can be considered by ESIL's Committee of Creditors (CoC)," the Luxembourg-headquartered company has said. Russia's VTB Bank had moved the Supreme Court on October 12 seeking clarification on its October 4 verdict by which mining major ArcelorMittal and NuMetal were granted another opportunity to bid for Essar Steel. VTB Bank has recently indicated that it was likely to bid alone for the debt-ridden Essar Steel. A bench of justices R F Nariman and Indu Malhotra had said that ArcelorMittal and VTB Bank-promoted NuMetal can bid for Essar Steel, provided the two pay off the non-performing assets (NPAs) of their related corporate debtors within two weeks from October 4. As per the verdict, ArcelorMittal will qualify to bid for Essar Steel only if it clears dues above Rs 7,000 crore dues of two firms, Uttam Galva and KSS Petron, it was previously associated with. With regard to NuMetal, the court had held that it was a shell company of Essar Group promoter Ravi Ruia and can only become eligible after clearing the NPAs of the group firms. The court, however, had not specified NPAs of NuMetal's related corporate debtors which have to be paid off to become eligible to bid for corporate debtors Essar Steel.